Since 2010 London based artist Ewan David Eason has created abstract images from reality, drawing particular inspiration from organic and man-made patterns created in cartography. By gilding with precious metals or using complimentary colours he aims to focus the viewer on the sacredness and diversity of our living landscapes. High levels of accuracy and dedication are used in the construction of the artworks, emphasising their status as a method of art-as-documentation. Whilst looking into various historical maps Eason discovered Charles Booth’s Descriptive Map of London Poverty from 1889. Booth set out to define levels of poverty and wealth in London, house by house using a colour coded system. Examples of these colours included Black defining Lowest class; Red defining Middle class and Yellow defining the Upper class. Continuing on the theme of creating abstract images from reality, Eason discovered the defined colours became an abstract image in themselves. By removing the colours and replacing them with one colour; Gold, he drew on the egalitarian nature of the city. 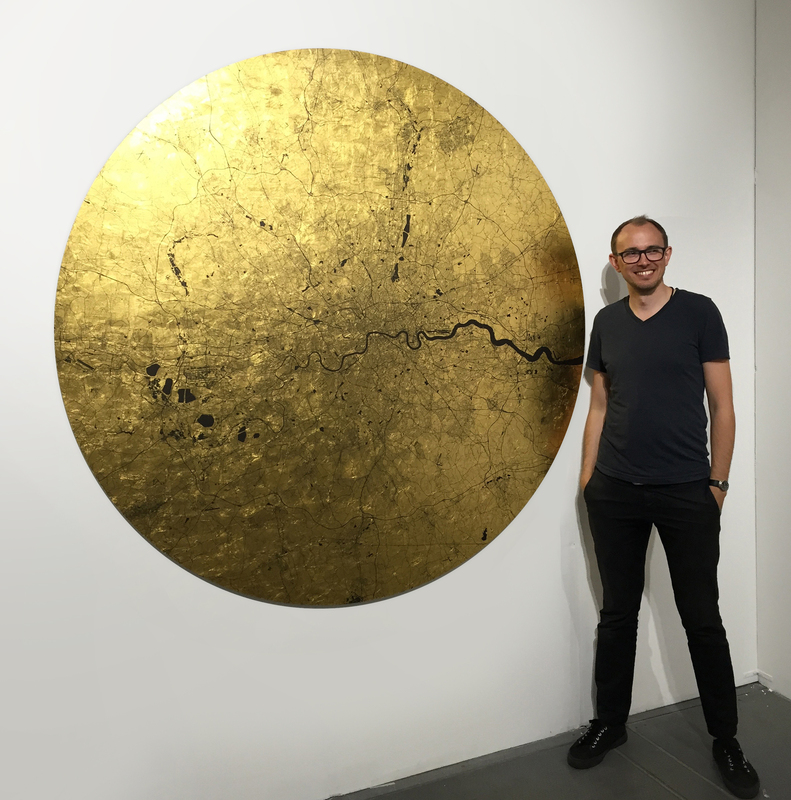 Since this first London artwork, the city where he is based, he has used present day and historical maps of significant cities and redefined the buildings in gold. The context of these works also represent a snapshot of our ever-changing landscape that could potentially be completely re-written in as little as a decade. Eason's artwork has been well received in a number of prestigious institutions including The Barbican, Christies, The Royal Academy Summer Exhibition as well as a solo exhibition at 45 Park Lane in London. His artwork was also featured in the BBC’s The Night Manager. He continues to exhibit at International Art Fairs.